There are three kinds of large wild beasts/animals living in Croatia - wolf (Canis lupus), lynx (lynx lynx) and bear (Ursus arctos). Wolf and lynx have been protected by law since 1995, while bear still remains hunted and legally killed as a part of hunting tourism. Lynx and wolf however, are killed illegally although the fines are quite hefty for such activities (40,000 Kn or around 5,500 euros). Despite that fact, no one has yet been charged for pouching in Croatia. One of the best examples is an incident that had happened on January 16, 1996: around twenty hunters from Perkovic hunting unit had literally ambushed, killed and massacred five wolves, then took animal carcases to their vilage showing them off as trophies to amazed people, natives of the village. And what about the fact that wolf has been protected since May 17, 1995? The remaining members of the wolf pack could be heard for many nights after howling and mourning after the lost members and mates. Although is very well known who commited this crime and slaugthered those wolves, nothing has been done to this date, no fine, no punishment, no justice. In 1894 wolves still occupied the vast amounts of Croatian territory. Their population ranged between 600 - 1000 animals. As the years passed, they have slowly become extinct from certain parts of Croatia and their numbers went down drastically. 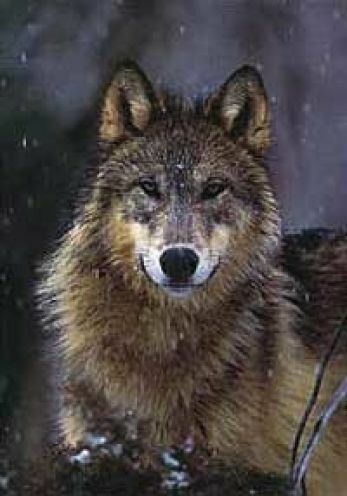 That lead to the fact that towards the end of 1980's wolves remained only in some parts of Gorski Kotar and Lika regions, and the numbers went down even further, to just 50 animals (units)! What caused their extinction? Environmental conditions and destruction of their natural habitats, diseases, war and so on; definetelly the biggest hazard to their existance was caused by human. It was also because of our wickedness, ignorance, the hatred that became a tradition, our longing for profit and reputation. As far as tradition goes, it's all well known that wolf was always a bad guy. We can certainly all remember the stories we were told as kids: Little Red Riding Hood, The Wolf and The Seven Kids, Three Little Pigs... All these and probably many more were told and carried over from one generation to another implanting nothing but fear and hatred towards those innocent and timid animals. It should be very clear that wolf hunting used to be encouraged and stimulated financially - whoever caught more wolves, or on the other hand bigger animal, was respected and admired. Wolf was being put on the market as an animal that could be hunted by anyone, with anything. Hunting was in most cases organized, people set traps of all kinds such as poisoned baits, spring traps, Russian traps, animals were uncontrollably shot, slaughtered with knives, then skinned afterwards, their body parts such as tails, paws or heads (sculls) cut off to be shown as a trophy or sold as souvenirs. 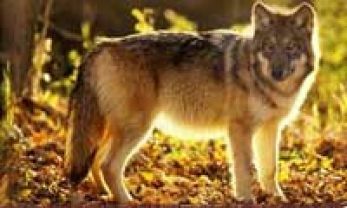 Today, a wolf population has recovered a bit to perhaps 100 to 150 animals and they inhabit parts of Lika, Gorski Kotar and Dalmatia. They are protected by law and should not be killed at all. Despite that, every now and then bodies are found massacred, with clear proofs of hatred by those who inflicted the injuries and feel threatened by wolves the most: farmers or hunters. Hunters reckon they have rights and privileges on game animals that are also a part of wolf's food chain, and according to their theory, wolves are snaching a prey away from them, while they have to pay certain hunting fees to the government. They claim they are "at loss." On the other side, farmers protect their live stock, which is sometimes targeted by wolves (mostly during winter when food's hard to find for any other beast or wild animal). Most of them, hunters or farmers would like to see wolf completely extinct. In their views, it is considered as a pest, a creature useless to human kind. Because it cannot be used in any way to serve humans, nor can it bring financial or economical profit in any way or form, such people do not see the meaning or purpose of wolf's existance whatsoever. The very fact that wolf has been protected, boosts more hatred and fury in those people and they frequently cause vicious harm to the animals. Way back in 18th an 19th century lynx has already been extinct from most of European countries that it used to inhabit. Nowadays it can only be found in poorly populated parts of Finland, Scandinavia, Poland, Charpatian mountains and Western Balkans mountains (Kosovo, western Macedonia and Albania). In Croatia, last specimens were inhabiting Gorski Kotar and Velebit regions before they completely disappeared. In 1973 it was reintroduced in Slovenia with 3 couples (3 males and 3 females) that were relocated from Slovak Charpatian mountains. By spontaneously relocating itself the beast found its way back to Croatia after nearly one century! Because of the good conditions of habitat and the environment, lynx population has expaned which lead to reduced number of deer, moufflon and mountain goat, their most signifficant prey. Hunters were furious, for lynx was hunting "their" prey. They hunted this cat with whatever and however they possibly could. Individually or in organized groups. Lynx was tracked, lured into traps, chased by dogs, killed by guns, even pistols or poisoned. To me, the worst and most cowardly way or doing this was waiting for an animal on a shooting stand, safely high above the ground, next to a bait or a feeding point. Hunters or pouchers would wait for the animal to come closer and approach them, then shot them in cold blood. Cats were also poisoned (poisoned bait), caught into spring traps, then slaughtered with knives, stoned, strangled or beatan to death with sticks, rods or axes. One was found drowned in a sea, one even walled up alive. Today it's considered that there are not more than 50 animals living in Croatia and they are strictly protected, but poachers take laws into their hands, abuse it and brutalities still continue! Just like wolves and lynxes, bears were in the past inhabiting nearly the entire European continent. Slowly it was wipped out of most areas due to irrational hunting and in the end it was nearly completely extinct. 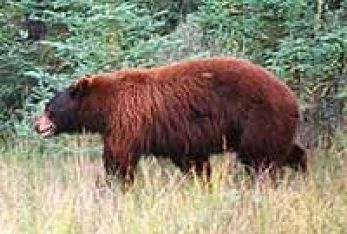 Only recently, a bear was reintroduced back to many countries and it reamains strictly protected. Croatia has always had bears and today, there are approximately 400 animals living in its territories. Although Croatia has joined Bern convention, and should put bears under strict and special protection accordingly, this laws still do not really apply here. In fact, bears are still regarded as a hunting game and could be hunted during hunting season and laso keep Croatian hunting tourism going. There are numbers of different hunting-grounds that are regularly rented out. Since 1994 hunting clubs and individual hunters must pay rather expensive fees in order to lease the hunting grounds they intend to use. The fee amounts depend on quality and diversity of the area, approximate number of game animals inhabiting it, as well as the size of the actual area. But, the game animals inhabiting the area belong to the leasee of the area, wheather it's owned by an individual, or company or organization. A leasee "takes care of animals," helps with feeding, and hunters are paying for the animals killed in the rented area. This goes for the bears as well. 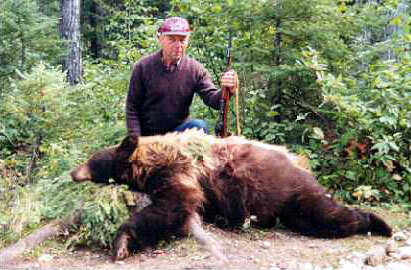 Because their population is considered as "stable," 10% of bears population is allowed to be killed each year. Price lists have been put together for different kinds of bear-kills, depending on age, size or health of the animal. They range around a couple thousands euros. As apsurd as it may sound to us, Italian hunters are prepared to pay up to 5,000 euros to shoot a bear! Why? Just for their pleasure. To show their "courage" by overpowering this huge beast!? Judge it for yourself, for it is known that they are waiting for their prey hidden high above in the shooting stands. Far from any danger, claws or teeth. A courage obtained by just pulling a trigger from a safe distance while sitting down comfortably and drinking tea! Then the animal is being stuffed pranced on its hind legs, looking mean and dangerous just like its ready to jump and attack you. It is usually put in a living room and serves as an inspiration for story-telling. What sort of protection is it when the biggest, healthiest and strongest animals are allowed to be killed in order for money to be earned??? This is nothing but a practise of negative sellection. By killing those capital individuals, smaller and weaker animals stay alive and it affects future populations. Killing an alpha male could easily lead to infanticid, killing of youngsters. The alpha male impregnates most of the females, so most of the cubs that are born are his. If alpha male is killed, other males tend to kill the cubs in order to mate with their mother. A female (mother) stops nursing the cubs also in order to mate again - with a new male. If human animosity towards wolf nad lynx lies on the fact that those two do damage by killing livestock or their hunting game, what is the story with bears then? Bears mostly feed on vegetarian diet, wild fruit and berries, and rarely attack livestock. In winter and early spring they are still hibernating and therefore are harmless. So, the damage they do bring on rare occasions is minor and could not possibly damage the economy. Consuming bear's meat is not a common thing in Croatia either. So how do people justify bear shooting? Are they in fear that their lives might be in danger? Do they wish for woodlands without "dangerous beasts?" Maybe they just kill them for fun, because they want to feel the power over large and potentially dangerous animal. Or maybe because they want to prove that man is the most dominant here and sets the rules. Then again, maybe just because they're just plain blood-thirsty. I don't know the answers to those questions, I can't imagine what's in their heads and what do they think. What I know is that humas and bears could live together peacefully and in complete harmony.